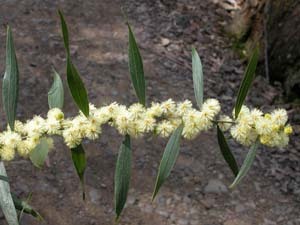 Acacia leprosa (varnished wattle) is one of several species of Acacia with broad phyllodes. 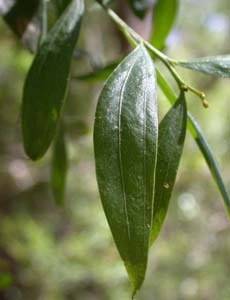 The phyllodes are distinctly viscid and have two main veins. It is common wet forest tree (or large shrub).